The factory girls were told the radium they were ingesting was safe, but it turned out to be their demise. In 1898, Marie Curie and her husband Pierre discovered the element radium and earned two Nobel Prizes. But in 1934, Marie died from radiation exposure. The chemist's death was just one stop on radium's trail of destruction. From the early-to-mid-20th century, radium cropped up everywhere in consumer goods. People equated radium's glow with health and vitality, hence its use in medicines and cosmetics. It was also common at the time to drink water laced with radium. During World War I, The United States Radium Corporation set up a watch factory in Orange, New Jersey. Many of their employees were young women, who painted the watch faces and tiny dials with glowing radium paint. Other major radium watch companies were in business in Waterbury, Connecticut and Ottawa, Illinois. To get a fine point on their brushes, the women were instructed to lick the brush tip, ingesting radium every time. This photo appeared in a 1938 newspaper, with the caption "Her left arm gone as result of radium poisoning, Charlotte Purcell demonstrates how doomed radium workers pointed brush tips for painting luminous watch dials, thus contracting dread disease." 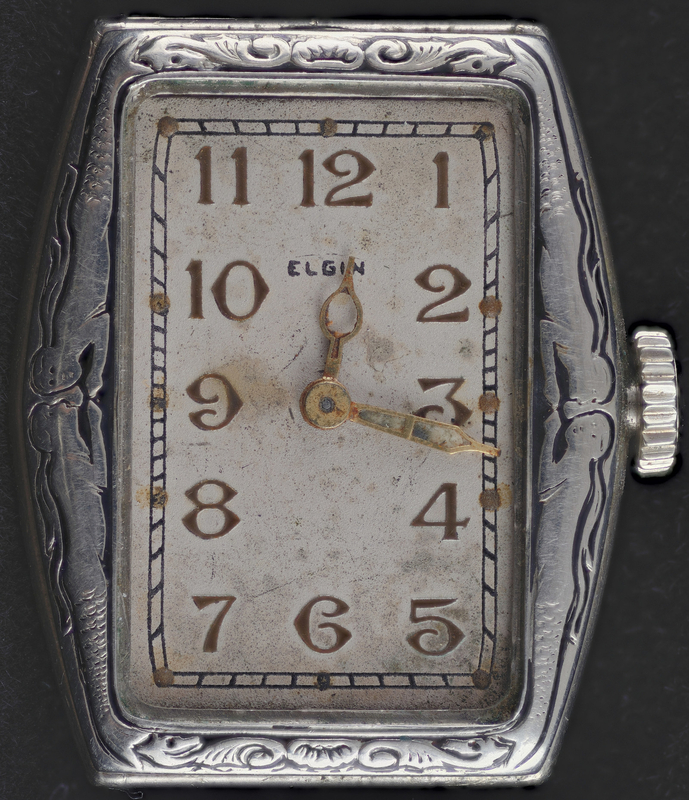 This radium watch was made circa 1930. 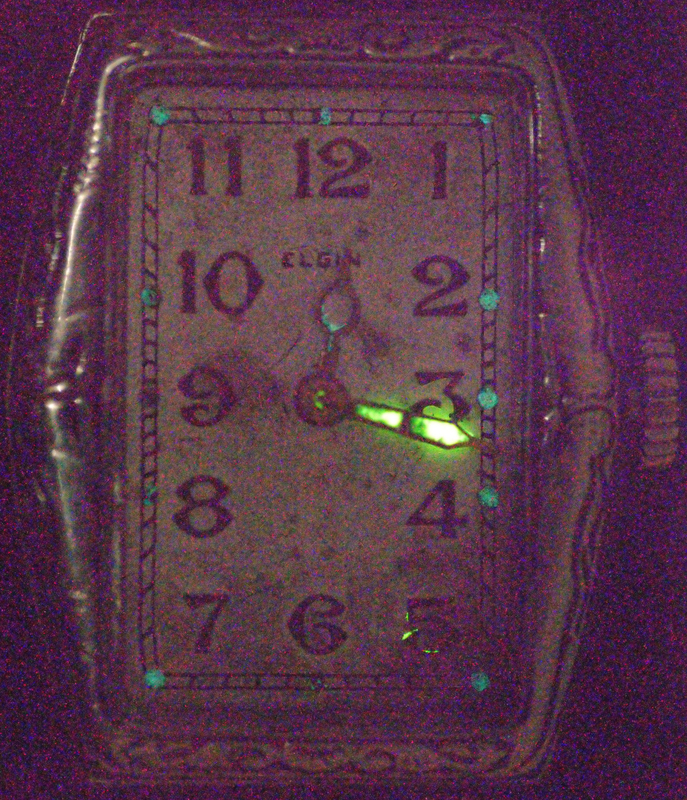 The dial still glows, showing how powerful radium is. When the women asked their superiors whether the paint was safe to ingest, they were told yes. But the company knew it wasn't, and the dangers of radium weren't unknown at this time. In fact, the male workers at the watch factory were protected with lead aprons and metal tongs for handling the radium, while the women had no protection at all. 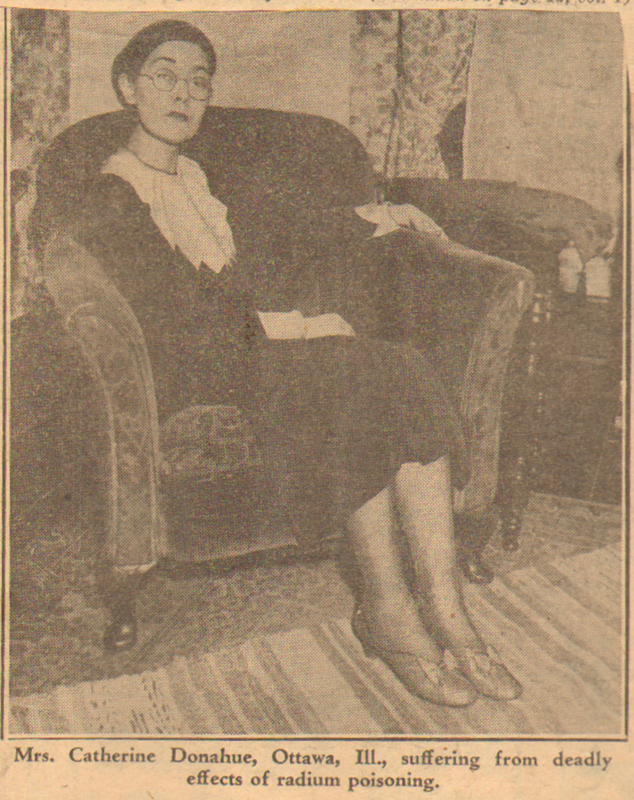 In 1922, a worker named Mollie Maggia fell very ill. Her body was decaying before her eyes. At one point, her entire jaw literally fell off. She died the same year. Other women suffered horrifically as well. The radium ate away at their bones, gave them giant tumors, and actually made them glow in the dark. The U.S. Radium Corporation denied being at fault, claiming its employees were just trying to get money from the company. They even tried to ruin the women's reputations – including Molly Maggia's – by asserting their health problems were due to syphilis. In 1928, Sabin Von Sochocky, one of the founders of the U.S. Radium Corporation and the man who had actually invented the radium-laced paint, died from exposure to his own product. 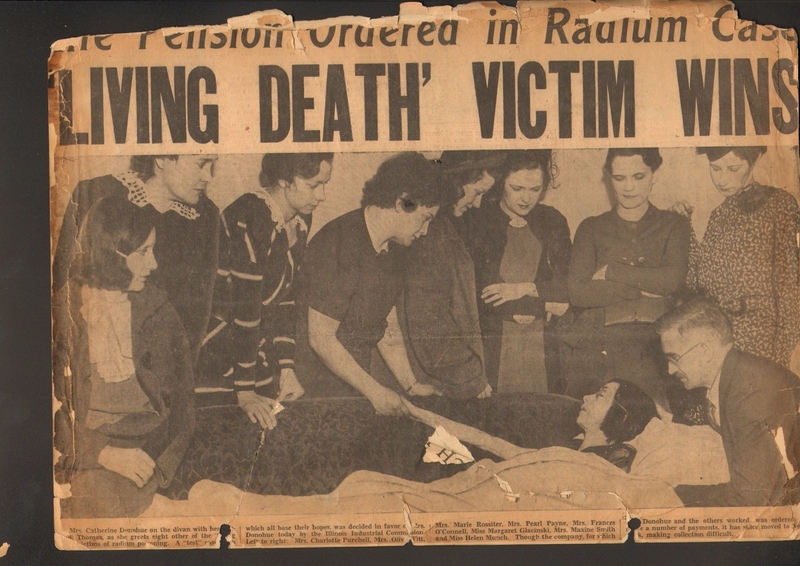 Several women filed lawsuits against the companies, but not until Catherine Wolfe Donohue sued the Radium Dial Company in Illinois from her deathbed in 1938 were safety laws finally enacted. 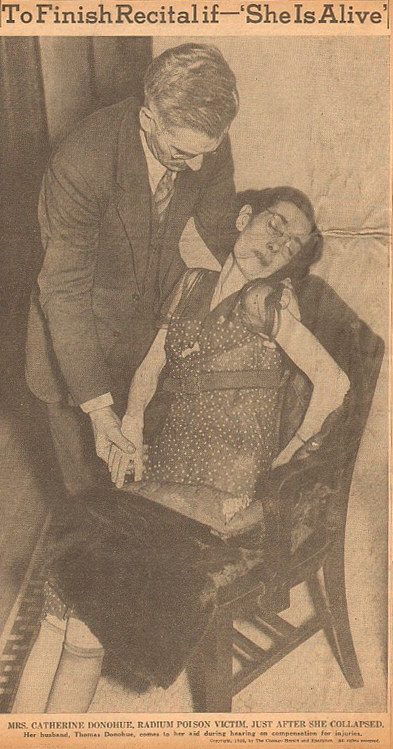 Mrs. Donohue in a "healthier" state in the first image; and in the second, close to death in court and having collapsed moments before. The full headline above the third image reads " 'LIVING DEATH' VICTIM WINS." The radium girls pushed for safer work environments while facing their own fast-approaching deaths. This memorial to the radium girls stands in Ottawa, Illinois, where the Radium Dial Company once operated. A century later, the radium in their bones still glimmers underground.